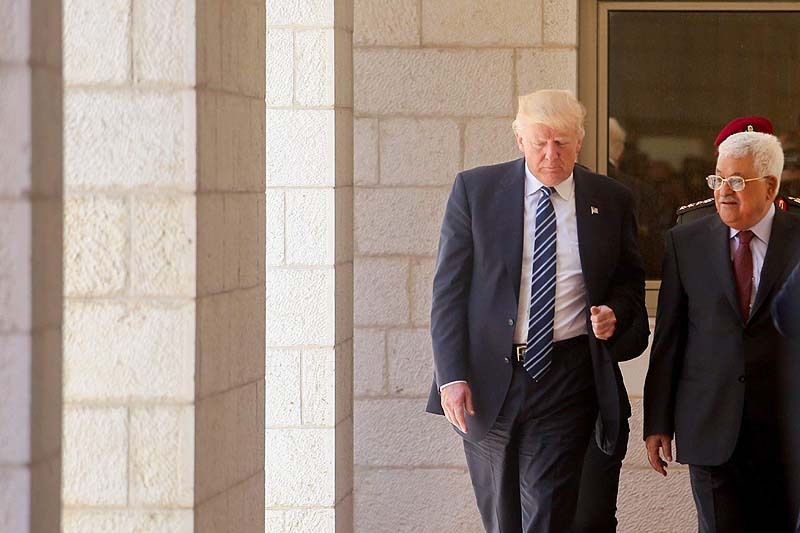 Photo Credit: Hebron spokesman Yishai Fleisher. 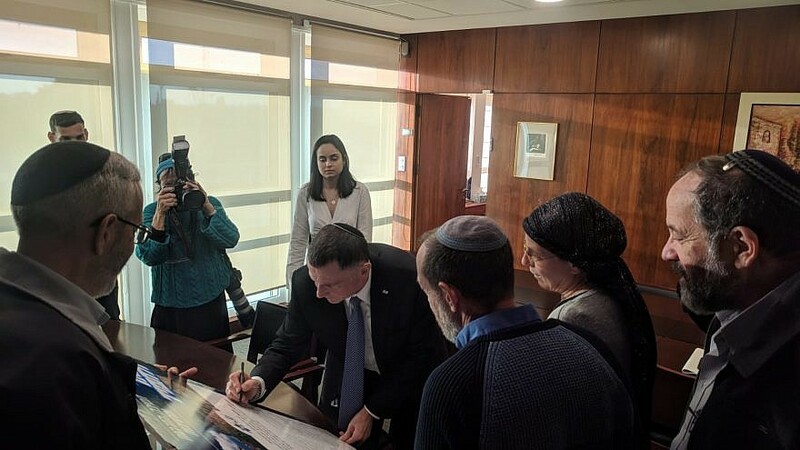 Speaker of the Knesset Yuli Edelstein signs a declaration of commitment to strengthening and supporting the Jewish identity of the city of Hebron, Dec. 24, 2018. The TIPH mission, which comprises personnel from ‎Italy, Norway, ‎Sweden, Switzerland and Turkey, was ‎originally formed under a joint invitation from the Israeli ‎government and the Palestinian Authority, with the aim ‎of monitoring and recording any violations of ‎international humanitarian law in the city. The organization received its current mandate as part of a 1997 agreement stipulating that its mandate must be renewed every three months—hence its “temporary” status. For 20 years, Israel has regularly renewed the organization’s mandate to operate in Hebron. In December, Israeli officials said that TIPH has been overstepping its mandate by providing tours for foreign diplomats in the city. The tours, they say, present visitors with a narrative biased against Israel. Israel Defense Forces’ officials have also expressed concern on multiple occasions that TIPH was privy to classified Israeli operations in Hebron and that their presence occasionally interfered with the IDF activity. In November, Deputy Foreign ‎Minister Tzipi Hotovely ‎said that according to a preliminary review, the mission has outlived its usefulness. “The mission has become a hostile presence on the ‎ground and it now sees itself solely as a critic of ‎the IDF, while blatantly ignoring Palestinian ‎terrorist activity in the area,” she said.